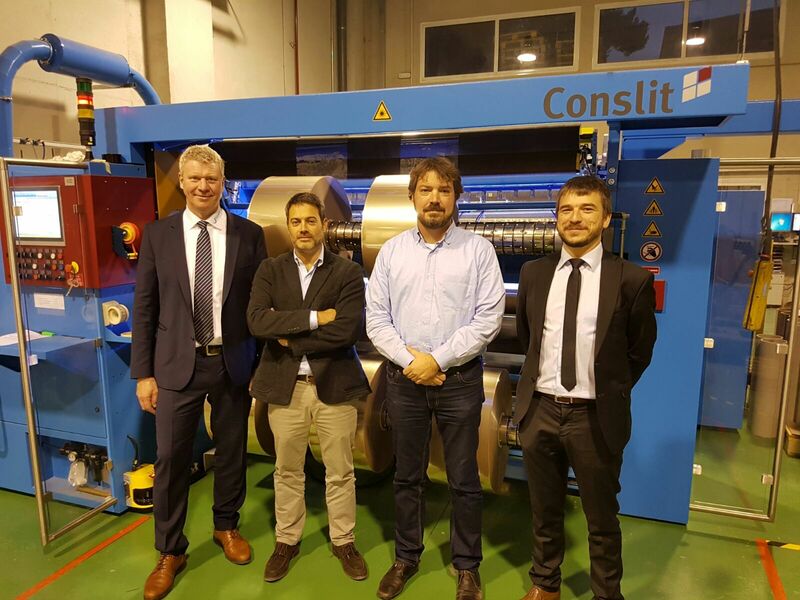 GlobalFilms, Spain has installed a Conslit made by the German company Kampf Schneid- und Wickeltechnik to expand its capabilities and increase its performance. The project was characterized by a good cooperation and the strong support of the KAMPF representation Jagib S.L. in Spain. Prior to the order placement specialists from Global Films thoroughly examined a Conslit slitter in the KAMPF technology center. Global Films Barcelona (GFE) is located near Barcelona, Spain for more than 25 years, and has had warehouses in Porto, Portugal for 6 years, and a recently opened one in Milan, Italy. GFE’s target markets are paper lamination, food, labels and overwrap industry. GlobalFilms distributes and slits films such as BOPP, BOPET, BOPA, and other products specific to each of these markets. The Spanish company is fully “service” focused, in the meaning of offering their costumers the most reliable deliveries from single reel up to full tracks or containers. The main aims are flexibility, accuracy, capability, quality and in addition: committed service. When GlobalFilms decided to expand the slitting department of the company all of the above mentioned criteria were considered. 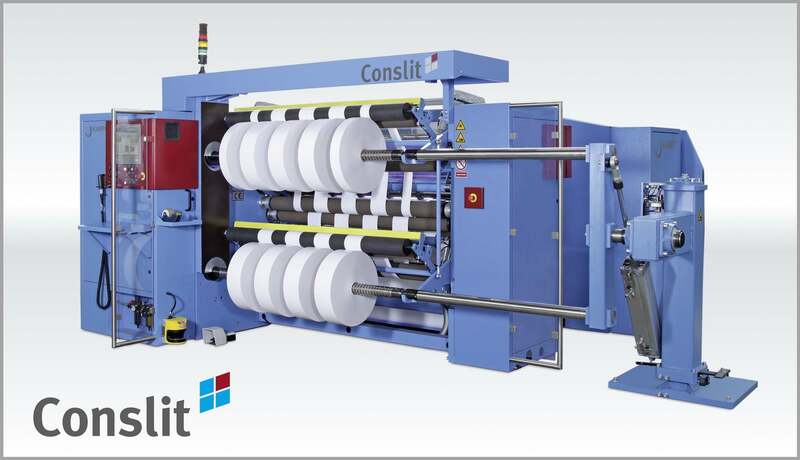 The Conslit slitter, which was commissioned last year in Spain, is already the third slitter from KAMPF, among them one machine with a double turret rewind system. The machine improves GFE’s performance and quality, with high flexibility and excellent slitting quality. The new unit increases the capabilities to work with materials up to widths of 2,000 mm and parent rolls with maximum diameter of 1,200 mm. GFE’s 2,500sqm Spanish warehouse now has a slitting capacity of 1,000 MT to offer more than 300 different material specifications with a thickness range from 0.008mm to 0.5mm with almost all type of sizes and requirements. Hopefully GFE’s customers and partners will enjoy the advantages of this high value equipment. Georg Waitz, sales manager KAMPF summarizes: “The Conslit slitter meets exactly the requirements of GlobalFilms: reliability, less downtimes, high speed and the well-known robustness especially with the widths of 2 m“.